BISMARCK, N.D. – Documents filed Tuesday by federal prosecutors indicate the wife of a man suspected of masterminding the December killing of South Hill businessman Doug Carlile is cooperating with investigators. James Henrikson, 35, remains jailed after he was indicted on eight charges of being a felon in possession of firearms. 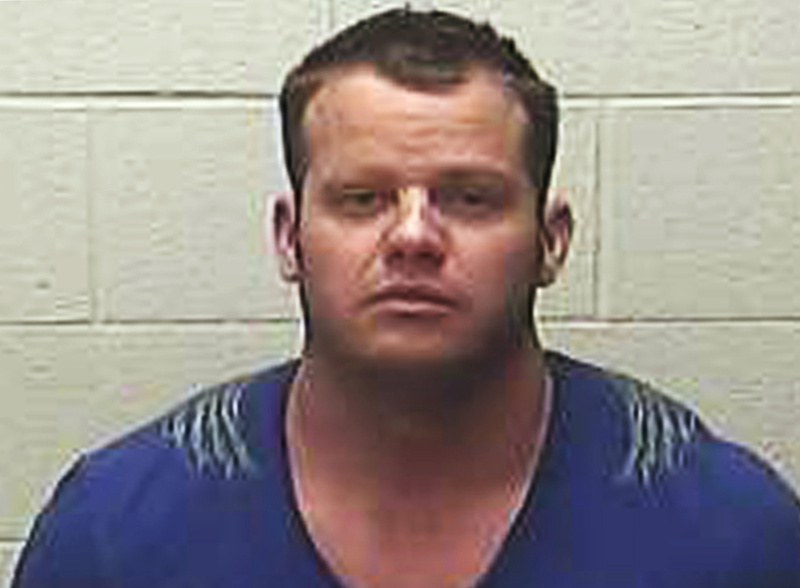 Federal agents searched Henrikson’s Watford City, N.D., home in January looking for evidence of financial crimes and firearms, which Henrikson is prohibited from owning because he is a convicted felon. Investigators have combed through the dealings of Blackstone LLC, the Bakken oil patch business he runs with his wife, Sarah Creveling, according to court records. Creveling called investigators a few days after a search warrant was served on her and Henrikson’s home earlier this year and indicated a willingness to talk. She told investigators about fraudulent billing and inaccurate profit-loss statements sent to investors, along with details about the firearms in the home. Creveling said all of the guns were Henrikson’s, but he had her maintain the combination to a gun safe. She said he would have her purchase guns for him, but he would possess and fire them. “Henrikson would often, and meticulously, wipe down the firearms before placing them back in the safe after his possession or use,” the court document said. Henrikson’s trial in the weapons case had been scheduled for April 1 until federal public defender William Schmidt filed a motion to suppress evidence found in a gun safe at Henrikson’s home. The motion said officers did not have permission via a search warrant to get the combination for the safe from a manufacturer and that Henrikson’s fingerprints were not found on anything in the safe. Prosecutors responded Tuesday and said courts have upheld searches of locked containers in a premises being searched. “The notion that federal law enforcement agents must seek additional search warrants for every locked container on a property is absurd and not supported by any identifiable case law,” Assistant U.S. Attorney Gary Delorme said. U.S. District Judge Daniel Hovland will rule on the motion at a later date. The response filed Tuesday by prosecutors also outlines other testimony gathered by prosecutors against Henrikson in the weapons case, in addition to that of Creveling. Kirby Voegele, owner of Big Boy’s Toys gun store in Watford City, told investigators he remembered Henrikson pointing out guns for Creveling to buy and Henrikson once brought in a gun for repair without Creveling there. Ryan Olness, a former employee of Blackstone LLC who lived with Creveling and Henrikson, said he went to a gun range with the couple, and Henrikson stored a gun for him. Peyton Martin, with whom Henrikson had an affair and fathered a child, said she was aware Henrikson had a handgun in the center console of a pickup once when he picked her up. Henrikson has not been indicted or charged for any financial crimes. Prosecutors detailed some allegations against him and Creveling, including that they created multiple limited liability corporations and transferred ownership of assets to make it look like Blackstone LLC was losing money.